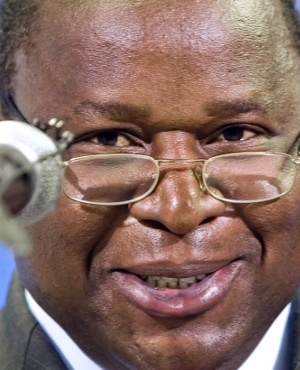 Tito Mboweni’s appointment as finance minister two weeks ago appeased investors, but his first mid-term budget showed the nation’s debt burden is heavier than previously thought. Government debt will peak two years later, and higher, than previously forecast, the fiscal gap will widen further and state revenue will continue to undershoot, according to estimates for the next three years that Mboweni presented to members of parliament in Cape Town on Wednesday. The rand and bonds plunged. South Africa's fifth finance minister in less than three years, Mboweni, 59, must boost investor confidence and growth in the economy after almost nine years of economic mismanagement under former President Jacob Zuma. Cyril Ramaphosa, who succeeded Zuma in February, has pledged to lure R1trn to the country in the next five years and will host an investment summit in Johannesburg from Thursday. The rand erased an earlier gain, weakening as much as 1.9% against the dollar after Mboweni started speaking, while the yield on the 2026 local-currency bond jumped 19 basis points to 9.24%. The Treasury more than halved its economic growth forecast for 2018 to 0.7% after the economy plunged into a recession in the first half of the year. Gross domestic product hasn’t expanded at more than 2% annually since 2013 and unemployment is at 27%. 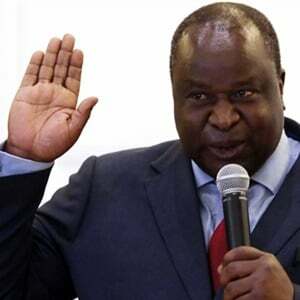 “Government needs to take some difficult decisions to get the economy on a higher growth path and to encourage job creation,” Mboweni said. Moody’s Investors Service, the only one of three major ratings companies that still assesses South Africa’s debt at investment grade, said last month it wants to see government debt stabilising. This will now only happen in 2024, at almost 60% of gross domestic product, and not at 56% in 2022 that was forecast in February. Mboweni also sees a wider budget deficit as wider over the next two years, coming in at 4.2% next year compared with economists’ estimate of 3.6%. Wednesday’s mid-term budget makes very little mention of the nation’s sovereign credit ratings, aside from pointing out that another downgrade of the local-currency debt would lead to higher risk premiums and capital outflows. Mboweni said the government was making the best of “a very difficult” situation. “The conversation that has to take place with the rating agencies has to be an honest one,” he told reporters before his speech. Wednesday’s budget may also make it more difficult to persuade investors that a stimulus plan mooted by Ramaphosa last month will reverse the decline. The budget shows that the government will rejig spending to direct more money to industry that may create jobs - clothing and textile incentives and job creation on the state’s public works program. The state is working on setting up an infrastructure fund and will give an update in February.